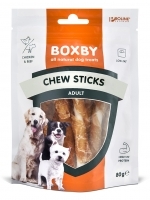 Chew Sticks with Chicken 80 gr. 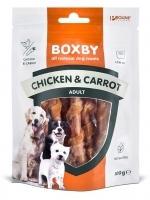 Chicken & Carrot 100 gr. Chicken & Spinach 100 gr. 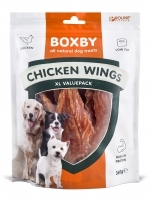 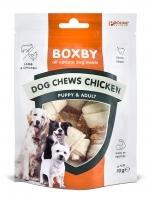 Dog Chews with Chicken 6pcs 70 gr. 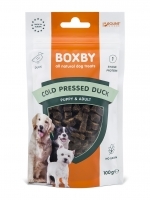 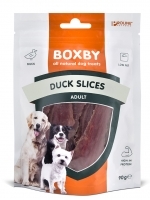 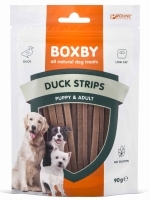 Cold Pressed Duck Treat 100 gr. Cold Pressed Lamb Treat 100 gr. Cold Pressed Salmon Treat 100 gr. Cold Pressed Turkey Treat 100 gr. 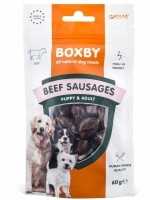 Hotdog Sausages Chicken & Bacon 220 gr. 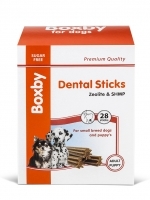 Monthpack Dental Sticks 600 gr. 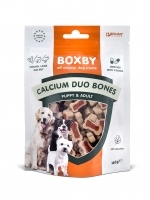 Calcium Duo Bones 140 gr. Trainer Mini Bones 140 gr. 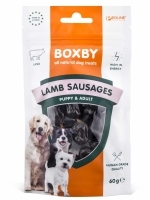 Protein Bites Lamb 70 gr. 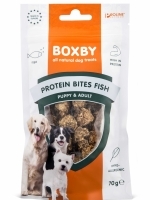 Protein Bites Fish 70 gr. 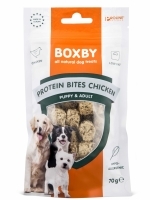 Protein Bites Chicken 70 gr. Protein Bites Salmon 70 gr. Multi Snack Pack 150gr (6x25gr) 150 gr. 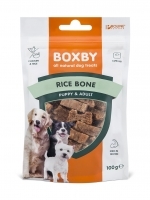 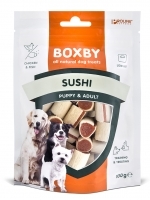 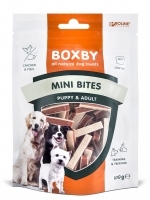 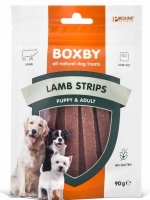 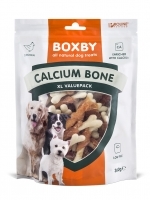 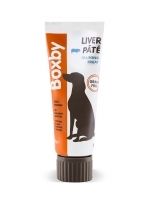 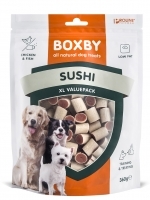 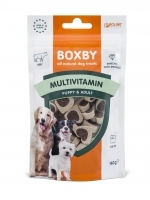 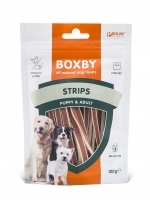 Boxby Puppy & Small Dog Dental 320 gr. 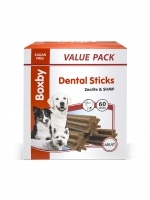 Valuepack Dental Sticks 1200 gr. Superfood Salmon, Carrot & Thyme 120 gr. Superfood Duck, Pea & Cranberry 120 gr. Superfood Lamb, Beet & Nettle 120 gr. Superfood Beef, Spinach & Garlic 120 gr. 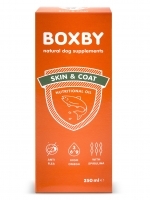 Nutritional Oil Skin & Coat 250 gr. 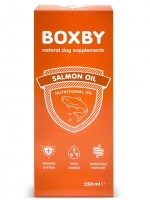 Nutritional Oil Salmon Oil 250 gr. 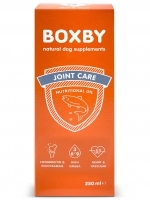 Nutritional Oil Joint Care 250 gr.